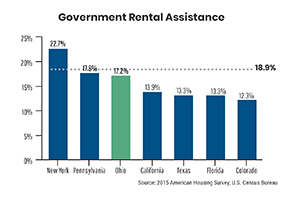 There's a large gap in Ohio between the number of renters at the lowest income levels and the amount of affordable and available rental units. 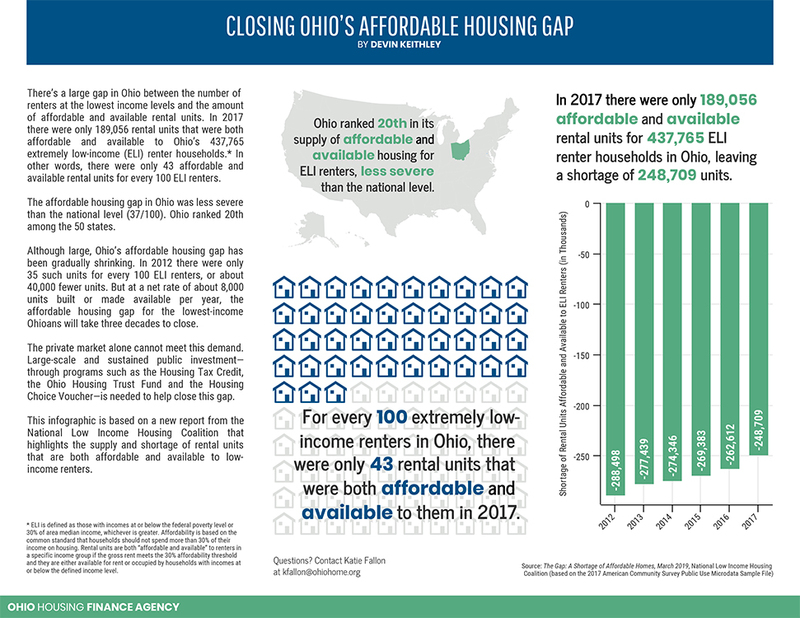 In 2017 there were only 189,056 rental units that were both affordable and available to Ohio's 437,765 extremely low-income (ELI) renter households. * In other words, there were only 43 affordable and available rental units for every 100 ELI renters. Click to view/download the PDF for the infographic. * ELI is defined as those with incomes at or below the federal poverty level or 30% of area median income, whichever is greater. Affordability is based on the common standard that households should not spend more than 30% of their income on housing. 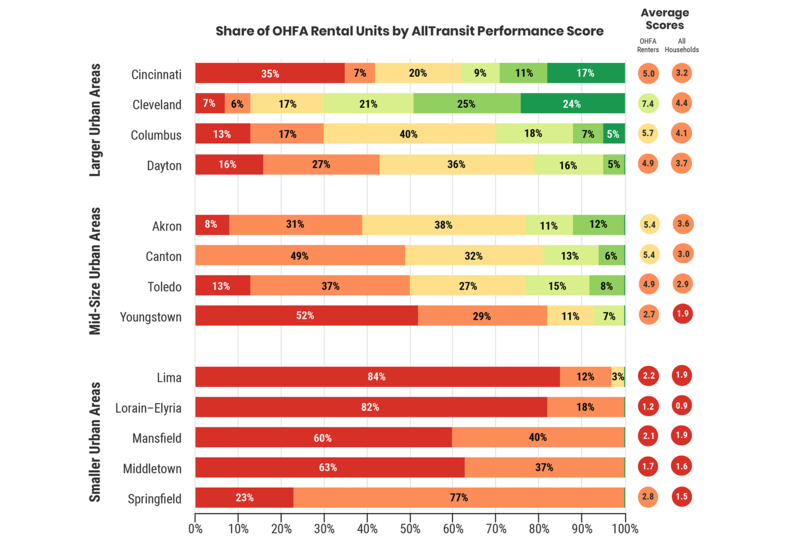 Rental units are both "affordable and available" to renters in a specific income group if the gross rent meets the 30% affordability threshold and they are either available for rent or occupied by households with incomes at or below the defined income level.